John B. Capewell and his family lived in Westville, New Jersey as did his parents and some of his siblings. I doubt that this was John’s house. It’s pretty big for four people. It may have been his father’s house. John did come from a large family. Hopefully some sharp-eyed citizen of Westville or one with a good memory will recognize this house. If you do, feel free to chime in on the comments section below. You can also comment on the Facebook page for the Capewell Glass Negative Collection which can be found HERE. 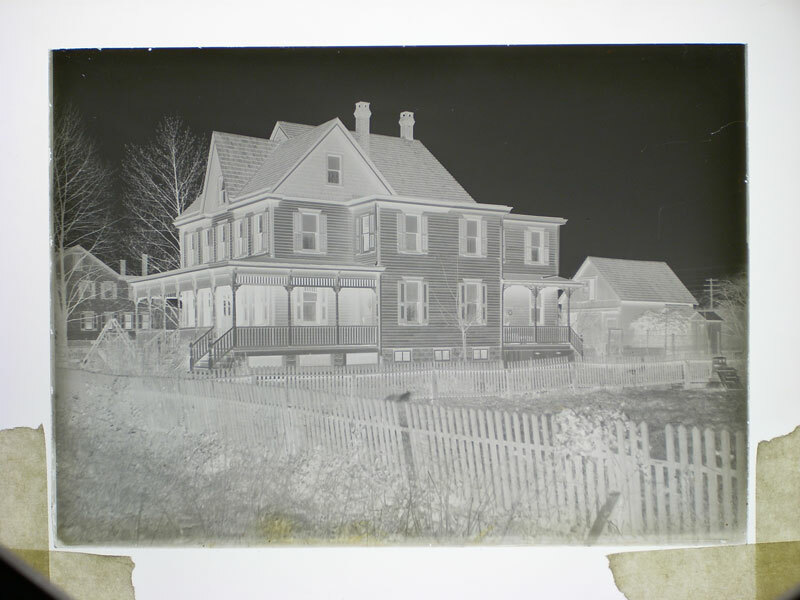 As with all of the photographs in theÂ Capewell Collection Glass Negative Collection, I placed this 5″ x 7″ glass negative on a lightbox and shot it with a digital camera locked down on a tripod. The processing was done digitally on a Mac using Adobe Photoshop. 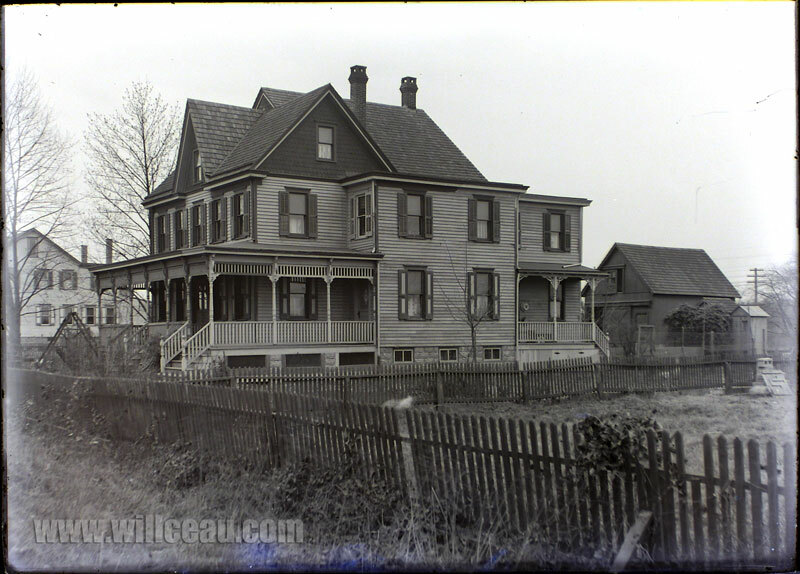 This entry was posted in The Capewell Glass Negative Collection and tagged analog, glass negative, house, John B Capewell, New Jersey, photography, Photoshop, The Capewell Glass Negative Collection, Westvilee, Westville. Bookmark the permalink. How unfortunate that this house no longer stands! It once occupied the lot where 1010 South Broadway is today, which is the first house past Thermal-Chek going south on the west side of the street. Based on a review of the census, I would say that John B. DID reside here. During his lifetimeâ€”and at least through 1940â€”this house carried the number 1029 South Broadway, so at some point in time, Westville renumbered its streets. You can tell the house sits on the west side of South Broadway by the telephone pole in the background. Based on the number of cross arms and wires, this pole could only be standing along the West Jersey & Seashore Railroad right-of-way. carrying telegraph and signal wires.